When trying to lose weight, getting an attack of the ‘munchies’ and searching out a snack is a big problem and one that leads us to become guilt-ridden if we give in and miserable if we do not! Many commercially available snacks are packed full of refined ingredients and loaded with sugar. Even so-called ‘healthy’ snacks that are low in fat may have many ingredients added to make them taste nicer that really are not good for us in the long term. A great way of getting a delicious snack is to try some of the nutritious. Low calorie smoothies that can be made at home. All you will need is a smoothie maker or a good quality blender, some fruit, some liquid such as low fat yogurt, some ice and maybe a little honey as a sweetener. 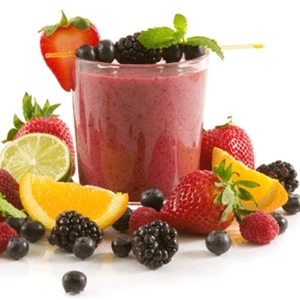 Low calorie smoothies can also be made using frozen fruits. These smoothies are great when you are in a hurry as they are so quick to make – all the fruit preparation has already been done. Just plan ahead and buy fruit in season, when it is on sale at the end of the day or in bulk from a market. This will save you lots of money and all you need to do is to wash the fruit, cut it into ice cube sized chunks and freeze it. Plain low fat yogurt is a really healthy ingredient to add to your low fat, low calorie smoothies. This type of yogurt does not have any additional ingredients added like flavourings or sugar. It is worth checking the ingredients list though, just to make sure there is nothing unexpected in there! This type of yogurt is also available in a probiotic version and this would be my choice for making the perfect low calorie smoothie. Many of these yogurts also state on the packaging that they can be frozen so it is worth keeping a couple in the freezer in case you run out. 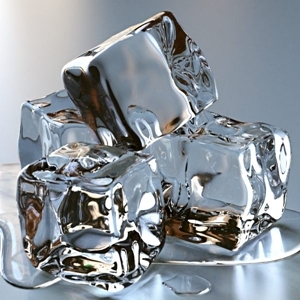 All you need to do to make your low calorie smoothie is to blend the fruit and the yogurt together with some ice cubes. Place the ice and frozen fruit in your smoothie maker or blender jug first and then add the yogurt. If you can possible do without adding sugar, this is the best way to enjoy low fat, low-calorie smoothies. You will find that many fruits are already sweet enough so that you will not need to add any additional sweetener. However, if you have chosen really ‘sharp’ fruits, honey would be my choice for a natural, unrefined sweetener. 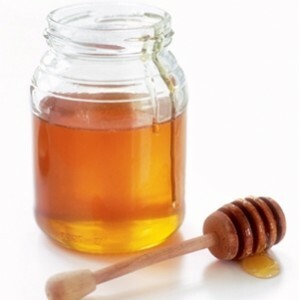 Manuka honey if you have it has many health beneifits and should be considered for this reason. Sweeteners or sugar substitutes are best avoided in my opinion as they are not a natural product. Low calorie smoothies can be incorporated into any healthy eating plan as they are so delicious you will really enjoy them even if you have no need to lose weight. These homemade smoothies are so easy to make in your smoothie maker that you can easily whizz them up in your home smoothie maker and freeze them to use instead of ice cream for dessert. If you are already at your healthy weight and do not need to watch your calorie intake too closely, you can substitute the low fat yogurt with one of the creamier versions. However it is still a good idea not to add unnecessary sugar. Another way of making delicious low fat, low calorie smoothies is to make vegetable smoothies. There are many recipes for green smoothies that possibly sound a rather unattractive idea to start with. However, there are so many health benefits to eating green smoothies that they are well worth a try. A spinach smoothie with berries added is a surprisingly delicious one to start with. It is certainly a great way of getting children to eat some greens without even noticing! Low calorie smoothies are easy to make using a single fruit or by combining several fruits or fruits and vegetables. It is fun to experiment with the different flavours and you will very quickly start to notice the benefits for your health. Making smoothies at home in your smoothie maker is a really delicious way of ensuring an adequate intake of fruits and vegetables in our diets. Low fat, low calorie smoothies make a delicious, guilt-free snack that can be enjoyed at any time of day – whether we are trying to lose weight or not. 126 Smoothie Recipes – Great for the summer!